Doosan Engine has confirmed delivery of the world’s first dual-fuel, low-speed ME-GI engine to the American National Steel and Shipbuilding Company (NASSCO) shipyard in San Diego, USA. 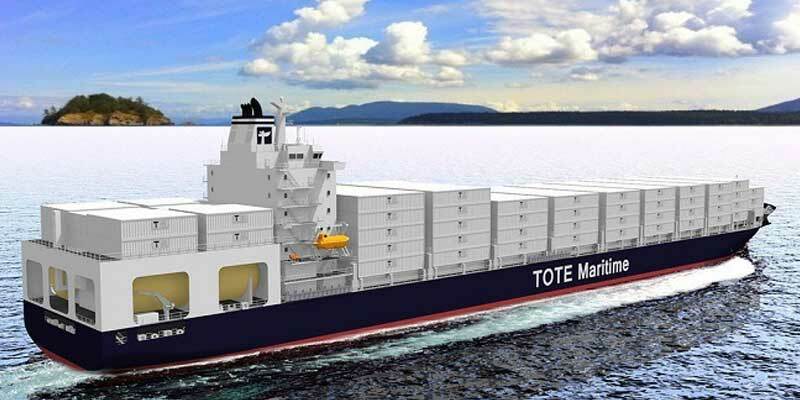 The new engine is capable of operation on LNG and/or bunker C oil and will power the first of two 3,100-teu container ships ordered by TOTE, the American marine transportation company. The Korean engine maker originally won the order to build the ME-GI engines in 2013, since which time the first ME-GI unit has successfully passed through design, manufacture, and test-run stages. On 3 June 2014, Doosan Engine successfully completed the engine’s official trial run in the presence of the shipowner, shipyard, and classification society representatives. 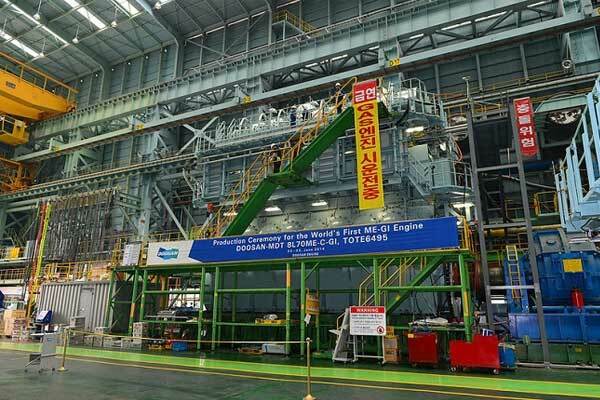 Doosan Engine also tested the ME-GI’s Fuel Gas Supply System (FGSS), which has 300 bar of operating pressure, at its Changwon plant. 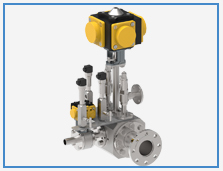 At the culmination of two months of extensive testing, the gas system had passed all regulations and restrictions as regulated by the American Bureau of Shipping (ABS) and United States Coast Guard (USCG). 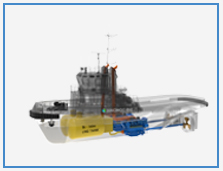 The TOTE ME-GI engine will primarily operate on LNG, which is currently more competitively priced than bunker-C oil. 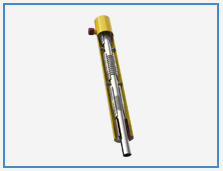 The ME-GI is a next-generation, eco-friendly engine, which reduces polluted material such as carbon dioxide, nitrogenous compound, and sulphur compounds compared to existing diesel engines. The TOTE contract provides for the construction of two newbuilding, state-of-the-art containerships – with an option for three more vessels – for primarily domestic services. The vessels will each be powered by a single 8L70ME-GI dual-fuel gas-powered engine. The two 3100 TEU vessels will be the most environmentally friendly containerships in the world, powered primarily by LNG, and will operate between Florida and Puerto Rico. The ship design will allow the transport of conceivable products. The ME-GI engine represents the culmination of many years’ work. 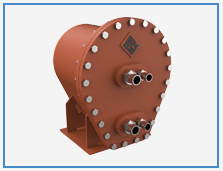 Depending on relative price and availability, as well as environmental considerations, the ME-GI engine gives shipowners and operators the option of using either HFO or gas – predominantly natural gas. 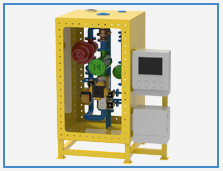 An ME-LGI counterpart is also being developed that uses LPG and methanol. MAN Diesel & Turbo sees significant opportunities arising for gas-fuelled tonnage as fuel prices rise and modern exhaust-emission limits tighten. 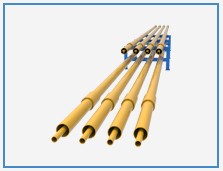 has no methane slip and is therefore the most environmentally friendly technology available. 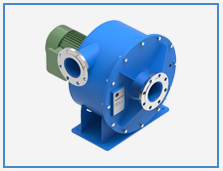 As such, the ME-GI engine represents a highly efficient, flexible, propulsion-plant solution. Why is Cargo Ventilation Important on Ships?